The recent storms have left smooth surfaces in Avalanche Gulch. Increasing sun angles as we push into spring will allow solar aspects to soften and begin to melt late in the day. All camping on the mountain will still be in snow. Running water is not available, so bring extra fuel to melt snow. The spring at Horse Camp is NOT running. Horse Camp is buried with only a large drift over the roof showing. Little falling rockfall and rime icefall has been observed but this will become more of an issue as the temperature continues to increase. You can expect this hazard to always be present on Mt Shasta. Snow surfaces are smooth with some light texturing in a few areas. Yesterday, skiing down from Helen Lake found soft fresh snow that was warming fast. Yesterday hosted full sun and warm temps on the mountain with light and variable winds. We've had a few rollerballs off of lower Casaval Ridge in the afternoon at 8,600 feet. This week looks to bring rain and thunderstorms starting tomorrow (Monday, 04.1.19) DO NOT climb into a whiteout. Many climbers have become lost on the upper mountain due to whiteout conditions and descended the wrong side of the mountain. This is very easy to do. Pay attention to the weather and make sound decisions! Climbers were observed ascending up through the right side of Redbanks, through one of three chutes. Be careful in this area as it's the steepest portion of the Gulch route and increased risk of rock/ice fall exists. Few climbers have been observed camping and climbing on the mountain but many will begin to make the trek up Avalanche Gulch. Horse Camp and Lake Helen are the normal camps for the Avalanche Gulch route. PLEASE, remember to keep a clean camp and make sure to LEAVE NO TRACE! Rangers take this seriously...pack out ALL micro-trash, food scraps, coffee grounds, etc. Further, it is REQUIRED for you to pack out your human waste. Free waste bags are provided at all open trailheads. Deposit full human waste packout bags at the trailhead. Rangers WILL check up on this and if you're caught not obeying these simple rules, you may receive a citation. A summit pass, wilderness permit & human waste packout bag are required if climbing. 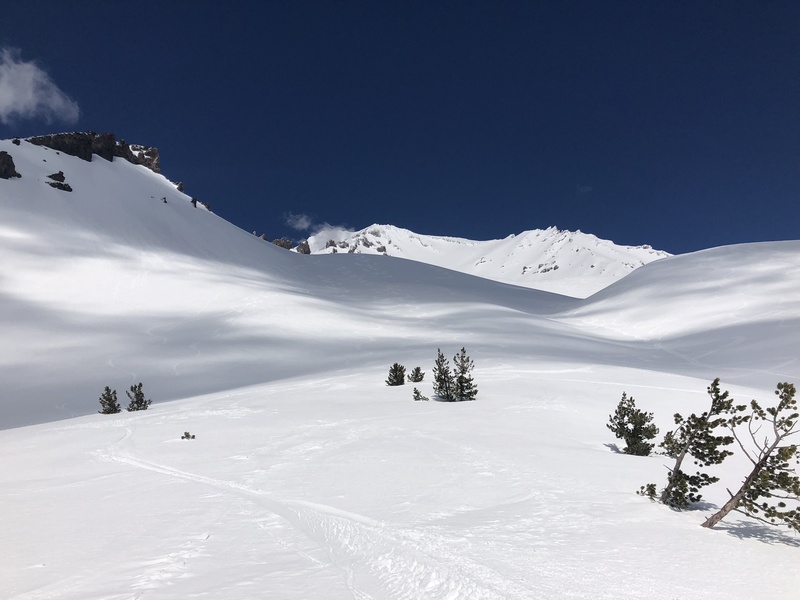 A summit pass is required for ALL travel above 10,000 feet on Mount Shasta. Check our climbing regulations for more details. Have fun and be safe up there!